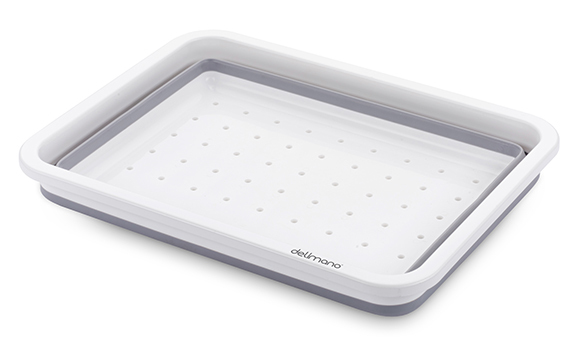 Delimano Brava collapsible dish rack is a perfect kitchen accessory for small kitchens, garden houses or camper vans. 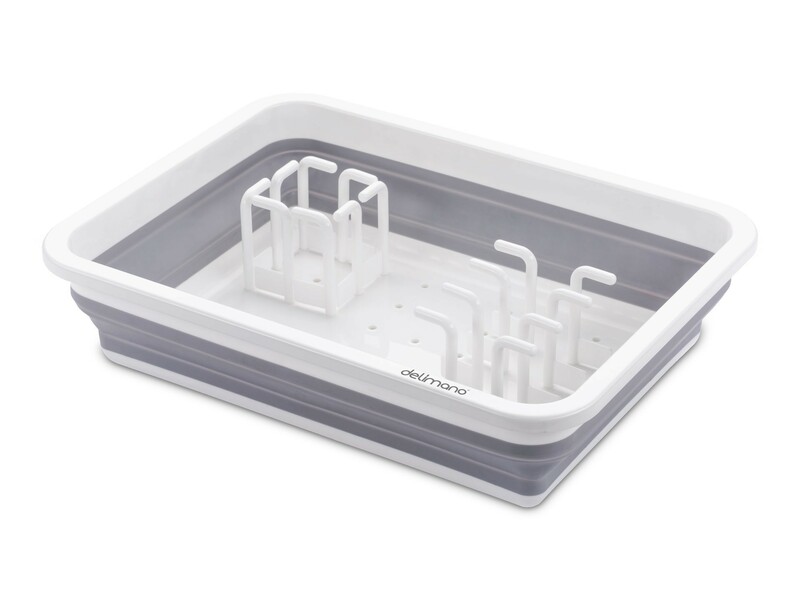 It's made of silicon and plastic for great durability. 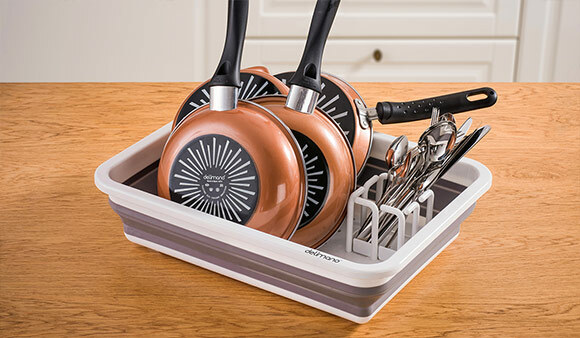 Foldable design and detachable sticks will guarantee easy storing. 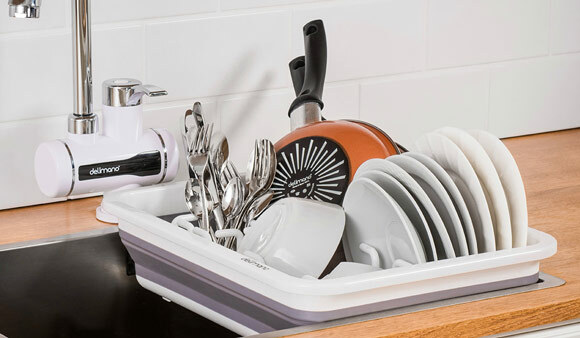 Dishwasher safe for fast cleaning. 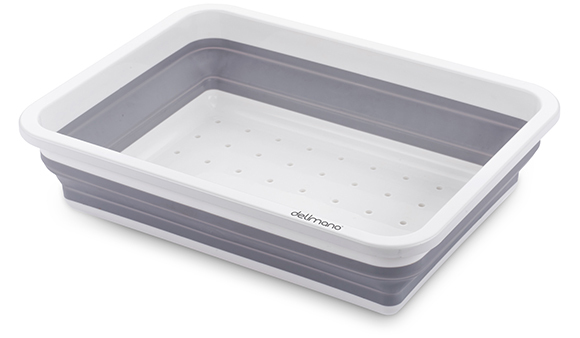 Dimensions 44,5 x 33 x 11,5-5,5 cm. 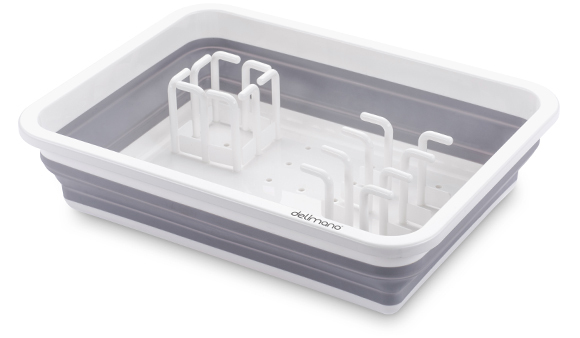 If you love a practical, multifunctional and adjustable design, then Delimano Brava collapsible dish rack is the right accessory for you. 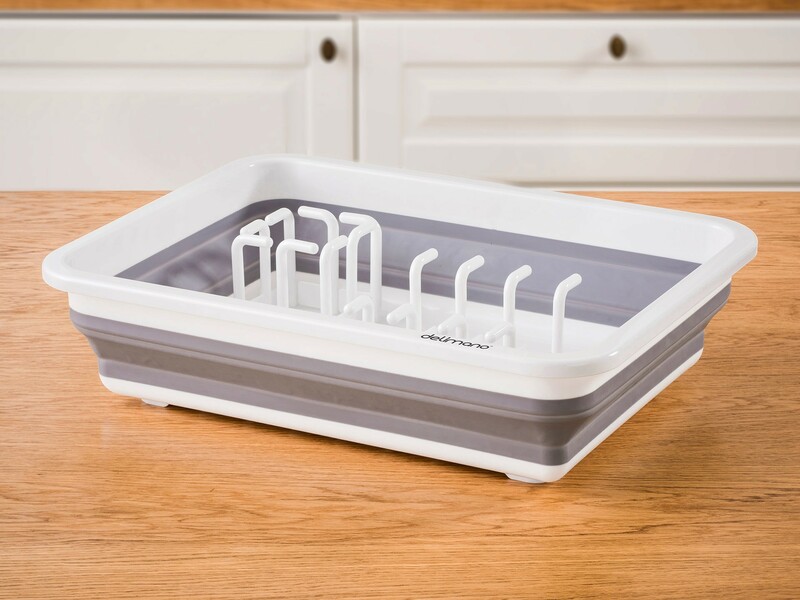 It is perfect for small kitchens, garden houses, camper vans or rare cooks, who want to keep their kitchens minimalist and clean. 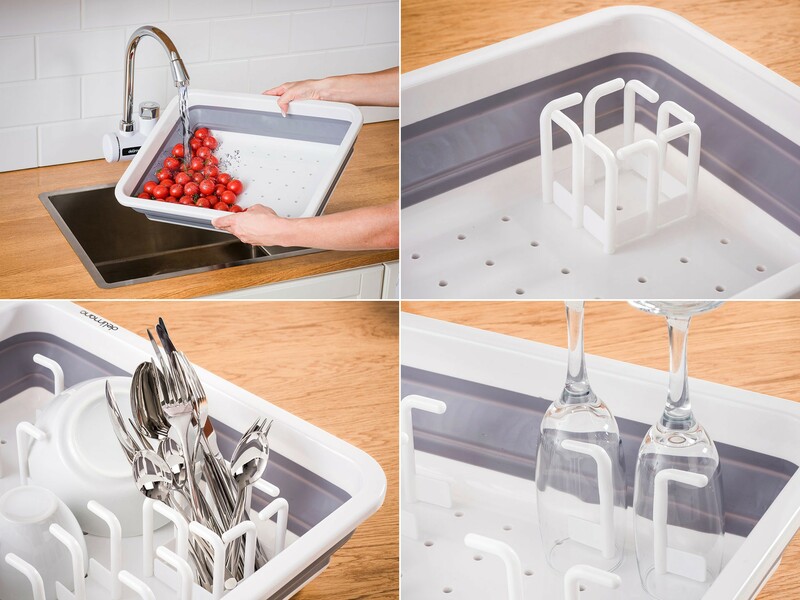 Brava collapsible dish rack comes with foldable design - you can adjust its height from 11,5 cm to 5,5 cm and easily store it in any kitchen drawer or on the cupboard when not in use. 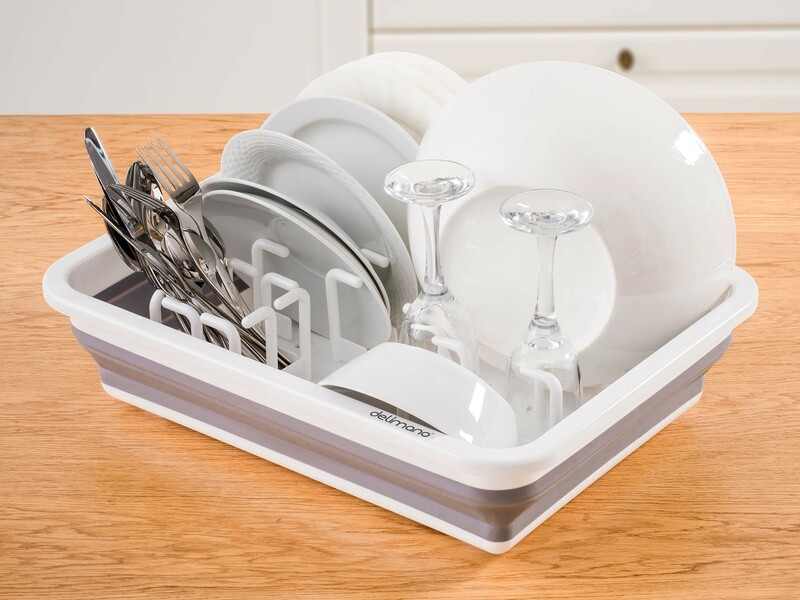 The sticks for holding dishes are removable and you can adjust them based on your needs – to fit plates, pans or cups. 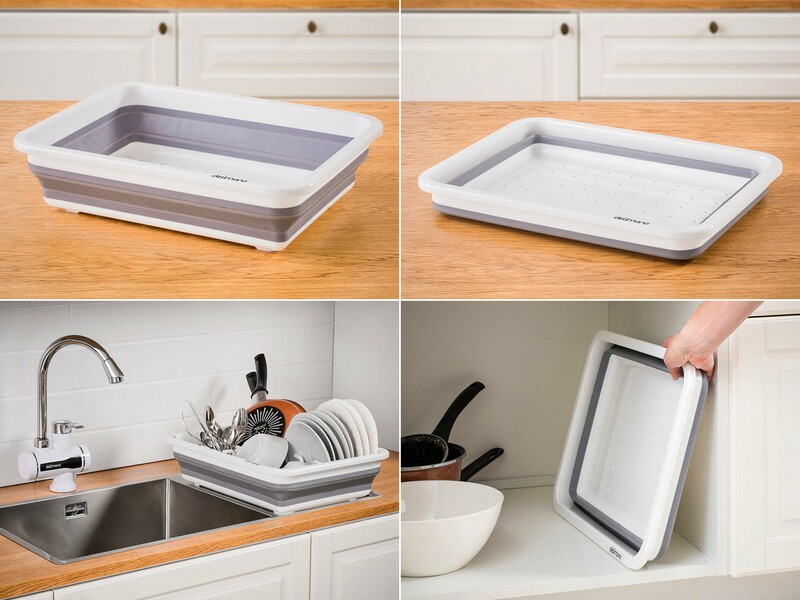 Owners of garden houses and camper vans will especially appreciate the smart design of Brava collapsible dish rack. 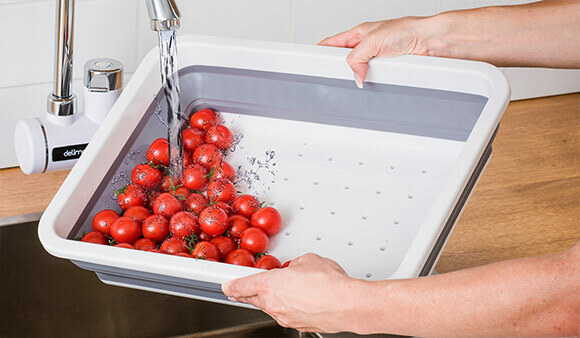 After removing all sticks, you get a practical big-sized strainer for cleaning fruits and veggies from your garden.